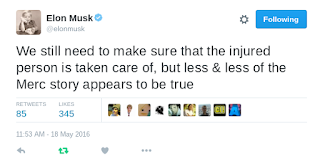 Following this week's headline story about Slovenian employee's sustained injuries at Fremont factory last year in Mercury News article, Elon Musk vowed to "investigate and make things right". 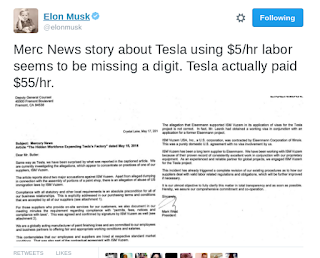 Today Elon came back with an updated tweet questioning the article's accuracy, seems Mercy News intentionally or unintentionally accused Tesla of paying Gregor Lesnik $5 an hour as opposed to his American counterparts earning as much as $52 an hour for similar work. 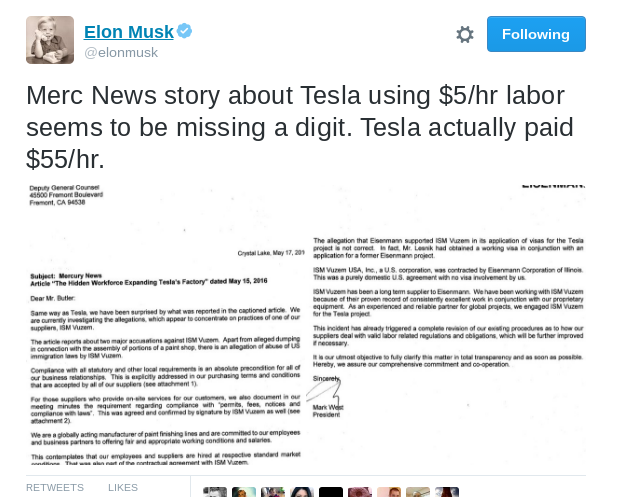 "Mercury News story about Tesla using $5/hr labor seems to be missing a digit. 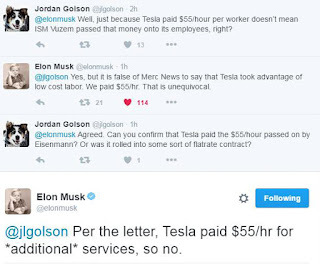 Tesla actually paid $55/hr." 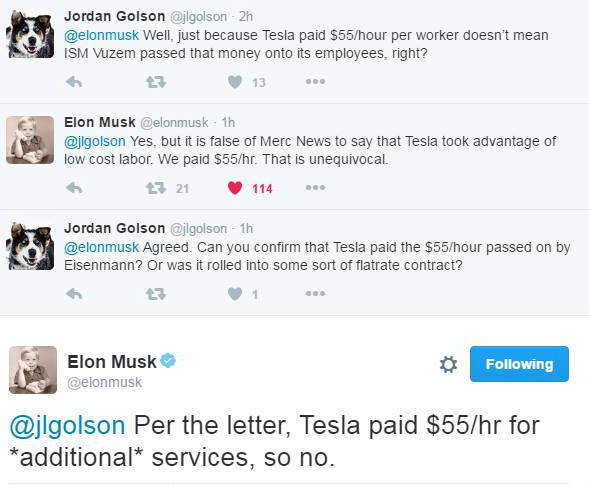 Now it is possible that Mercury News did not know whether the contractors in question - Eisenmann and ISM Vuzem - paid Lesnik $5/hour or they just kept those $50/hour for themselves illegally. However, Elon is not impressed with the level of journalism on Mercury's side and insists that "it is false of Mercury News to say that Tesla took advantage of low cost labor. We paid $55/hr. That is unequivocal." adding "we still need to make sure that the injured person is taken care of, but less & less of the Mercury story appears to be true". 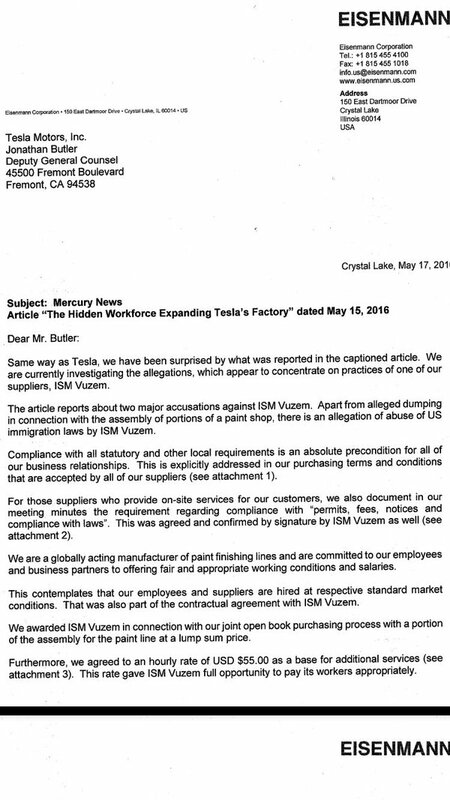 Furthermore, Elon shared a letter dated yesterday from Eisenmann's president Mark West to Tesla stating some clarifications about the two accusations against ISM Vuzem. 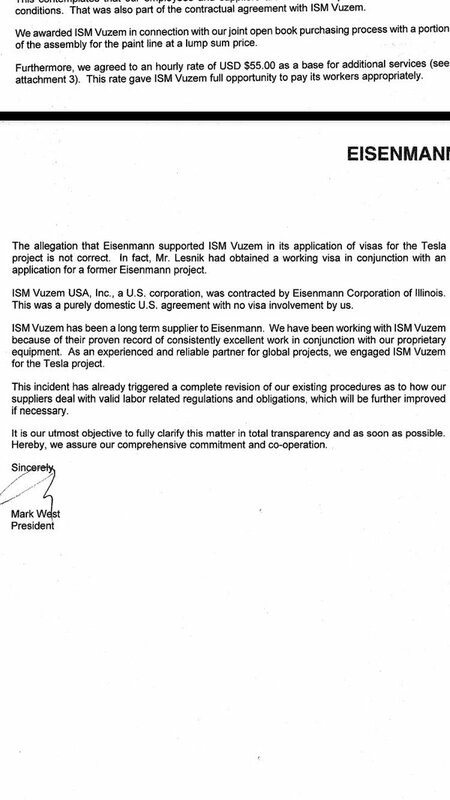 "The allegation that Eisenmann supported ISM Vuzem in its application of visas for the Tesla project is not correct. 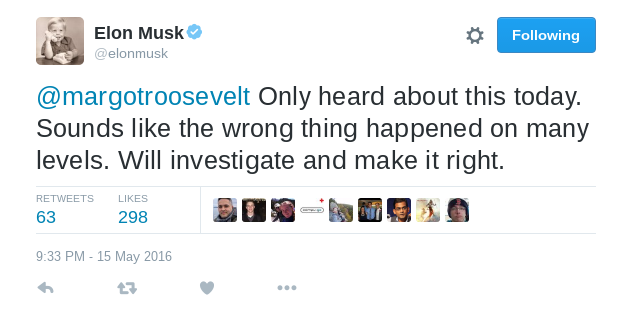 In fact, Mr. Lesnik had obtained a working visa in conjunction with an application for a former Eisenmann project." it states. "This contemplates that our employees and suppliers are hired at respective standard market conditions. That was also part of the contractual agreement with ISM Vuzem." West writes, adding "we agreed to an hourly rate of $55.00 as a base for additional services... This rate gave ISM Vuzem full opportunity to pay its workers appropriately. ISM Vuzem USA, Inc, a U.S. corporation, was contracted by Eisenmann Corporation of Illionois. This was purely domestic U.S. agreement with no visa involvement by us." West concludes, "This incident has already triggered a complete revision of our existing procedures as to how our suppliers deal with valid labor related regulations and obligations, which will be further improved if necessary." Elon's final tweet on the matter reiterated on accepting criticism for improvement "We care about doing what's fair and just. Don't always get it right but intent is always there ad we make amend when wrong". Separately, Eisenmann hired auditing firm KPMG to investigate fully if the allegations are correct and whether ISM Vuzem was at fault, if so it will be the end of their business venture.